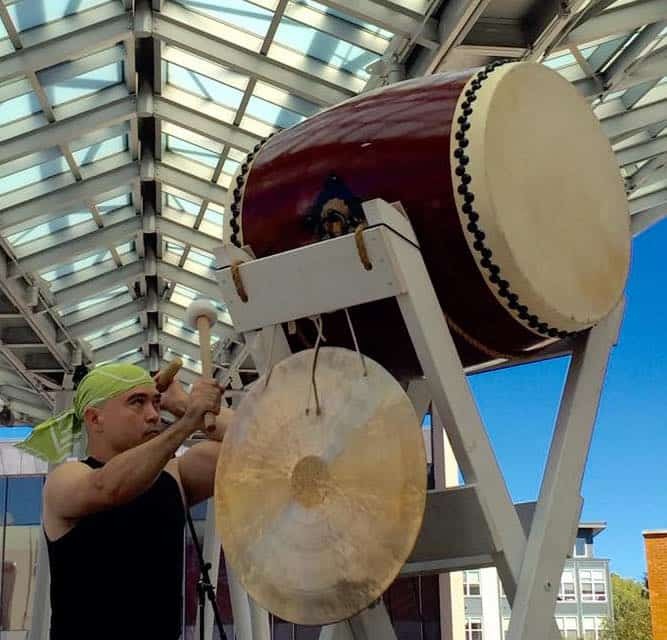 Ready to up your taiko game? The Advanced Skills Class is for you! 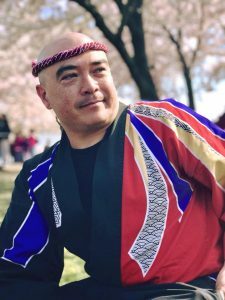 Are you looking to fine-tune your form, tighten-up your technique, and sharpen your taiko skills? 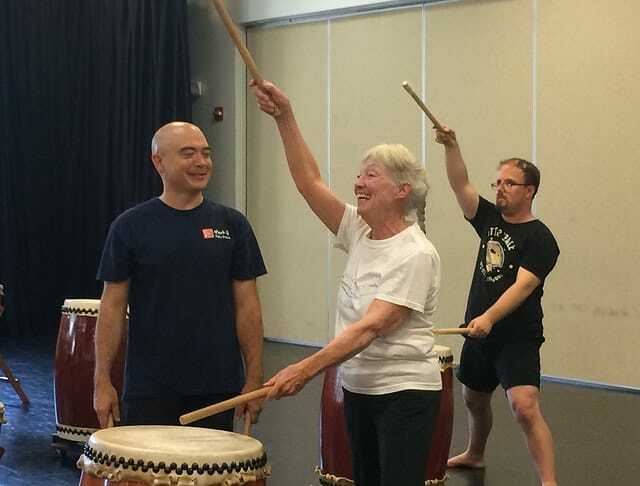 Back by popular demand, the Fall 2018 session of the Advanced Skills Class will once again focus on ODAIKO! 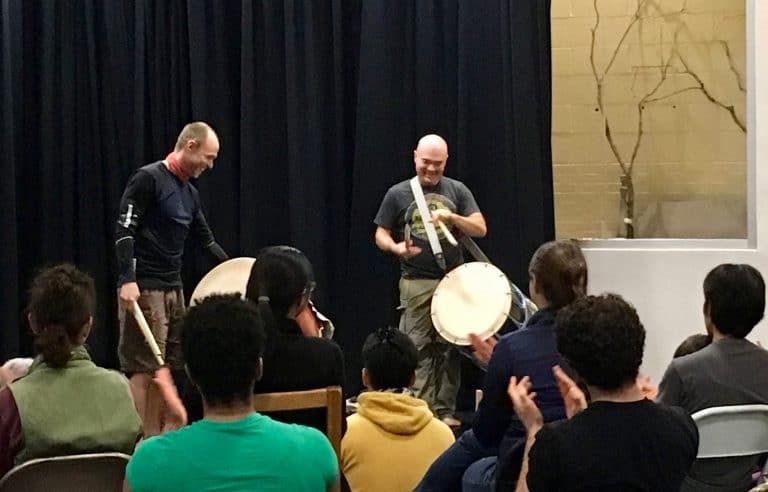 Odaiko is a challenging (and exhausting!) 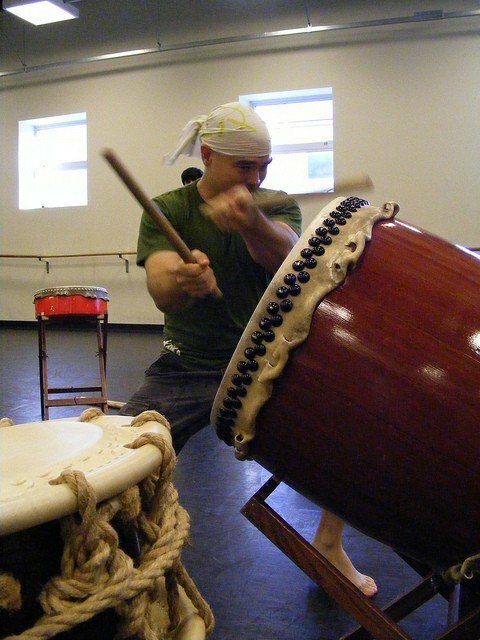 style that defines a pursuit for many taiko players around the world. This powerful style demands stamina and body-mechanical awareness in a big way. We will focus on fundamentals as well as build on endurance and technique. Please note that this is NOT a beginners’ class, this is more akin to TRAINING. The pacing will be faster and the expectations higher than in Rec Class. Not sure if this class is right for you? Contact Mark H and he can help you determine if you are ready! If you would like to sign up for BOTH the Adult Recreational Class (ARC) and the Advanced Skills Class (ASC), you get a 50% discount on your ASC enrollment!